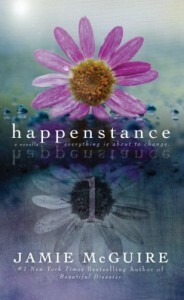 Happenstance is a story of love, of betrayal, of mean girls, of secrets, and of finding your place in the world. 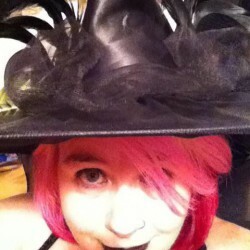 Erin Easter has spent her life on the outside of the social scene, more frequently the target of neverending bullying. She is one of three Erin's in her small senior class, the other two best friends and mean girls who tend to spearhead the bullying. Once the three were close, but something happened to change all that. Her loneliness was heart-wrenching, but somehow through it all, she remained strong and brave. Her life at home with an addict mother had made her wiser than her years, and given her a life of responsibility, as well as yet another reason for her classmates to bully her. She spent most of her life just trying to keep her head down and unnoticed, just trying to survive until she could escape and make a new life for herself. Weston is the epitome of the YA hero... popular, gorgeous, and athletic. But he is also a nice guy at heart, even if a little too influenced by his peers. His girlfriend just happens to be one of the mean girl Erins. I wanted him to be Erin's hero from the very beginning, but it was slow in coming, which I suppose is a more realistic portrayal of that kind of situation. To stand up against your friends for someone who is so socially removed can be hard and it takes courage that many teens just don't have for fear of that bullying coming back on them. But what I loved most about Happenstance is that Erin didn't need a hero. She didn't need a knight in shining armor to swoop in and save the day. She wasn't making any big stands for herself against those bullying her, but she was surviving. She had a goal that motivated her... to go to college and to escape. If anything, it is Weston who needs saving. Erin is teaching him how important it is to be strong for yourself, to have the strength to be who you want to be. While this is a book about transformation and acceptance, there is a twist. And that twist throws everything into turmoil and changes not just Erin's life, but those around her, too. It makes for an interesting setup for the rest of the series. This is a book with some heavy subject matter and powerdful messages about strength and character and standing up for what is right. It is a beautiful story with a lot of promise.